The 2019 tennis season is just a few days away and the players are getting ready to kick things off in style. The first tournaments of the year will begin on December 31, with the Maharashtra Open in India, Brisbane Open in Australia, and Qatar Open in Doha, beginning on the same day. The Hopman Cup in Perth is scheduled to begin on December 31 as well. The top tennis stars in the world will be back in action and are currently preparing hard to get back onto court. The Indian tennis stars, too, are putting in the hard yards and getting into shape for the 2019 season. The previous season was a mixed bag for Indian tennis, with a few players performing well and a few others underperforming. After missing out on action in 2017 due to a recurring foot injury, Saketh Myneni dropped down to 625 in the world at the end of that year. He spent 2018 trying to recover his form and gain the points he had lost. He did quite well for himself, winning a couple of Futures tournaments to get back into his groove. He began to play well in the Challenger tournaments towards the end of the year as well, reaching the final of the Bengaluru Open. He will go into 2019 ranked 259 in the world. Ramkumar Ramanathan had a topsy-turvy year, performing exceptionally well at times but underperforming in many tournaments as well. He defied the odds when he reached the final of the ATP 250 event at Newport, losing to Steve Johnson in the final. However, he failed to make an impact post that tournament, losing in the early stages of the events that followed. He ends the year as the world no. 133 and will play in the qualifying of the Australian Open. 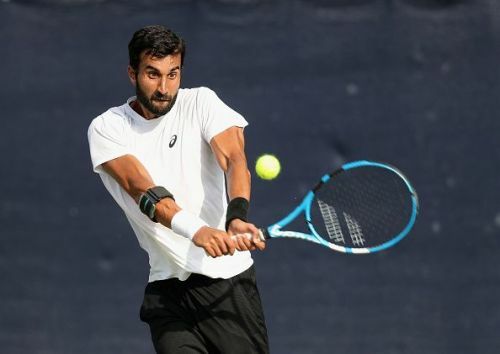 After a great first half in 2018, Yuki Bhambri suffered from a tendinitis in the right knee, due to which, he missed a lot of tournaments in the second half and was not up to the mark in the tournaments he took part in. He began the year outside the top 100 but then broke back into the top 100 after his performance at Indian Wells and Miami. He remained in the top 100 till the US Open but numerous first-round exits finally saw him reach 137 by the end of the year. He will skip the Maharashtra Open but will play the qualifying of the Australian Open. 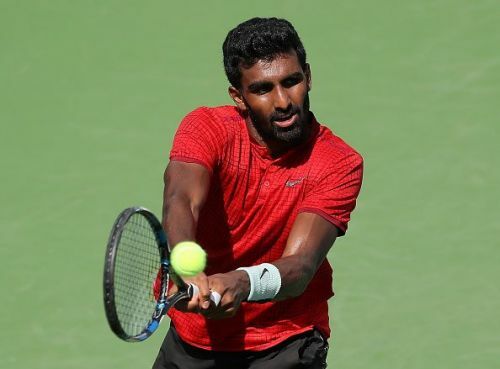 Prajnesh Gunneswaran had a remarkable year and ended it as India's no. 1 singles player. He began the year ranked 243 and ended it nearly inside the top 100. He produced some magnificent performances throughout the year, including winning two Challenger titles in China and Bengaluru. He came close to winning the Challenger event in Pune as well but lost in the final. He will go into 2019 ranked 107 in the world and will look to make it into the main draw of the Australian Open. He has been given a wildcard for the Maharashtra Open as well.